Are you looking for a Floor Sanding Company in Uxbridge? Despite its modern feel, Uxbridge retains some of the character of the old Middlesex market town of the 18th century. With its Georgian and timber- framed buildings, along with the impressive wooden roofs in St Margaret’s Church, Uxbridge has a good representation of one of the most traditional construction materials. More modern buildings still benefit from the durability and beauty of timber. Especially in wooden floors, whose hygienic qualities and ease of maintenance makes them as popular as ever. They enhance all kinds of domestic and commercial buildings - with the capability of adding value as they improve with age. Yet a natural material requires care and upkeep - and a wooden floor can lapse into a sad, marked or damaged condition. It’s then time to do your floors - and your domestic or commercial environment - a favour. 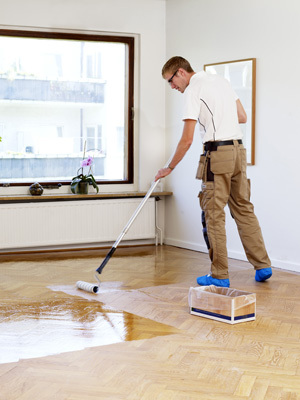 Choose floor sanding as the means to the restoration of your floors. On hardwood or engineered boards; parquet blocks; cork or bamboo – We provide comprehensive wood floor sanding and repair services in Uxbridge. Sanding boards strips away the old layers of paint, dirt and sealant to a smooth, level finish. Don’t worry about dust and mess: our cylinder machines have a unique and efficien t dust collection system. We also keep closure and disruption to a minimum by working flexibly - at weekends or even overnight - to fit your schedule. After over twenty years of restoring every kind of wooden floor, we will know exactly what your floor will require. Our floor sanding and polishing services in Uxbridge cover repairs; filling gaps to help prevent draughts; staining for a new colour; and sealing with lacquer, hard wax or oil. A worn or damaged period floor is a challenge we relish. For parquet floors sanding, we find the matching blocks from reclaimed timber suppliers. You will enjoy an authentic floor whose finish will compare favourably to the original. So ask us today for your free assessment. You will get the best advice; a job to meet your budget and the assurance that it will be finished with only top quality floor products. They last longer, look better - and prove the best value in the longer term. For a truly professional job in Uxbridge - contact us today! Uxbridge is a large town located in west London, England and is the administrative headquarters of the London Borough of Hillingdon. It forms part of the ceremonial county of Greater London. It is located 15 miles (24.1 km) west-northwest of Charing Cross and is one of the major metropolitan centres identified in the London Plan. It historically formed part of the parish of Hillingdon in the county of Middlesex and was a significant local commercial centre from an early time. As part of the suburban growth of London in the 20th century it expanded and increased in population, becoming a municipal borough in 1955 and has formed part of Greater London since 1965. Several historical events have taken place in and around the town, including attempted negotiations between King Charles I and the Parliamentary Army. The location of these events, a public house, still stands and is named The Crown and Treaty in recognition of the event. Uxbridge also houses the Battle of Britain Bunker, from where the air defence of the south-east of England was coordinated during the Battle of Britain. Situated in RAF Uxbridge, the No. 11 Group Operations Room within the bunker took on a crucial rule during the battle and was later used during the D-Day landings. The London Borough of Hillingdon's Civic Centre was built in Uxbridge High Street in 1973, as part of an effort to unite the services of the council, which had formed in 1965 with the merger of the Municipal Borough of Uxbridge, Ruislip-Northwood Urban District, Hayes and Harlington Urban District and Yiewsley and West Drayton Urban District. Before the new building was completed, council services had been spread throughout Uxbridge and the rest of the borough and various buildings, as a result of the merging of the former district councils.